Georgios Dimitropoulos is an Assistant Professor at HBKU Law School. 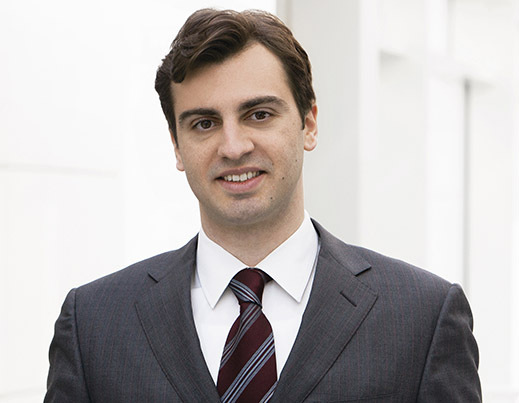 Georgios studied Law at the University of Athens, and holds an LLM from Yale Law School, and a PhD in Global and EU administrative law from the University of Heidelberg. Before joining HBKU Law School he was a Senior Research Fellow at the Max Planck Institute Luxembourg and a Hauser Research Scholar at New York University (NYU) School of Law; he completed an internship at the European Commission’s Directorate General Enterprise and Industry, whereas during his PhD studies he worked as a research assistant at the Institute for German and European Administrative Law of the University of Heidelberg. Georgios’ main research interests are administrative law, behavioral public policy, international economic law and international dispute resolution; he is particularly interested in exploring the intersections between administrative and international law, and law, psychology and behavior.